AIMCO's screwdrivers are highly flexible, include quick shut off for minimum torque reaction, and are designed with high efficiency air motors that provide increased speed during the rundown cycle. The precise repeatability of industrial powered screwdrivers produces accurate tightening results. 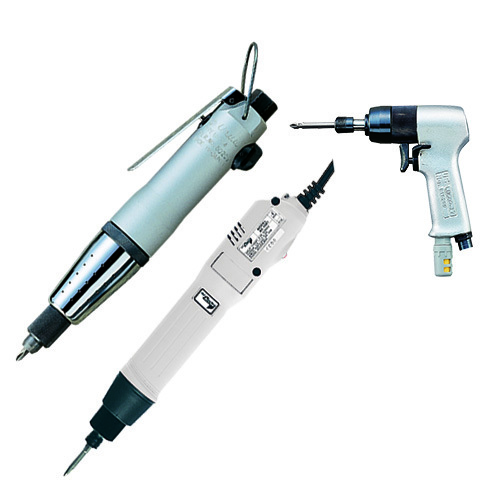 Screwdrivers are ideal for torque control applications. AIMCO’s screwdrivers - when PRODUCTIVITY, ERGONOMICS, RELIABILITY and QUALITY matter. © Copyright 2019 AIMCO Global. All Rights Reserved.